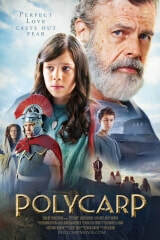 Polycarp is a historical drama about a 2nd-century slave girl who is bought, freed, and adopted by Christians. When Roman persucution threatens their church leader (Polycarp) she learns how to live for a faith worth dying for. I was the casting director as well as a script consultant.